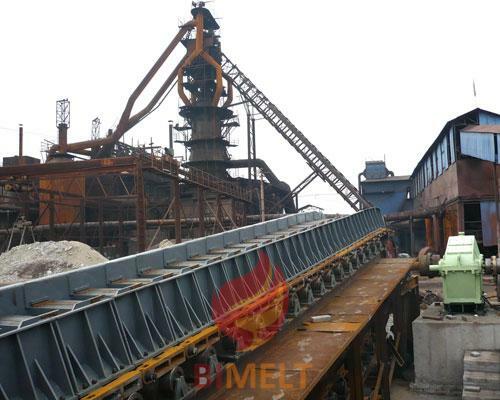 Belt type sintering machine is anecessary equipment for large and middle sized smelting enterprises to producepre-iron sintering ore. After sintering the mixed material will become hotsintering ore, then it’ll be crushed and cooled for the blast furnace ironsmelting. 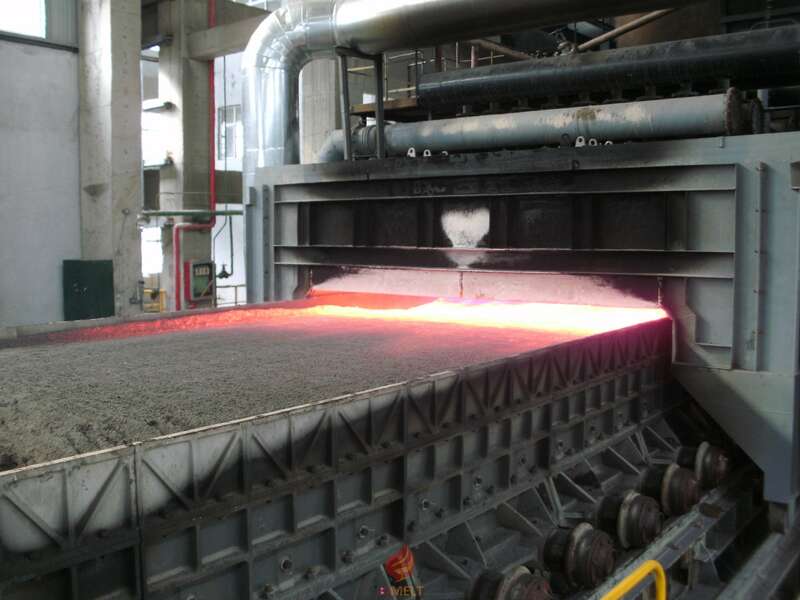 The belt type sintering now successfully applied in nickle oresintering , chrome ore sintering, manganese ore sintering ,iron ore sintering . 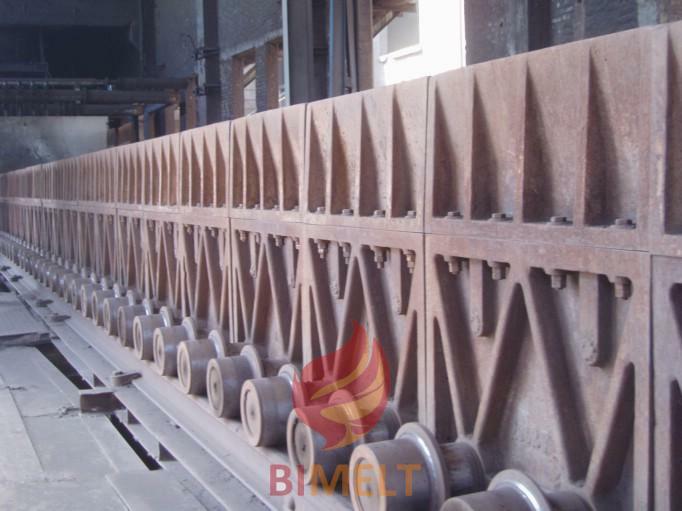 Features of belt type sintering machine: Belt type sintering machine use the front and rear sprockets driven trolley carrying mixed materials, meanwhile equipped with igniting and exhaust fan. The trolley is feed and ignited in thefront and discharged at the rear. Through air drafting and combustion supportedby exhaust fan ,in effective length the mixed material burnt from top to bottomgenerate sinters. During this process big amount of sulfur are removed. 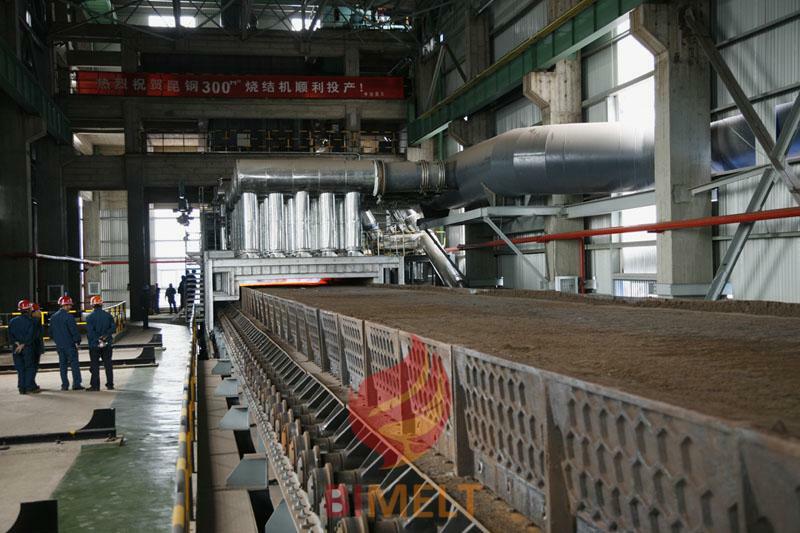 Sinter production with the belt type sintering machine featured of :highproduction, superior quality, high product rate, energy saving, easy runningand maintenance, long life range, and it has good environment protection effectfor metallurgical enterprise.